In terms of keyboards, the ‘RGB’ category is very specific. When you buy an RGB keyboard, you’re getting the complete RGB array of colors. You can actually see all shades, even if they’re subtle or intense. RGB keyboards have customizable multicolor lighting. In general, you can pick any color from the RGB color wheel to backlit your entire keyboard. You can also choose a color for a single key or for a group of keys. If you’re shopping for your own RGB keyboard, here are five models that shops that sell laptop units highly recommend. When it comes to gaming hardware, Razer is a brand that many people trust. With the Huntsman Elite, the global brand has elevated the standard of RGB keyboards. The Huntsman Elite features optomechanical switches. This means the keyboard’s mechanical switches are now integrated with optical sensors. This enables the Huntsman Elite to help you vastly improve your gaming performance. 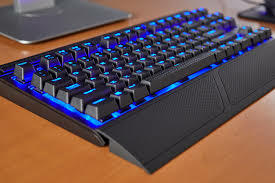 One of the selling points of RGB keyboards is that they are great for gaming machines. The problem is most of them are just good for games. They are not flexible enough to be, at least, decent for regular typing. This is where the Logitech G513 comes in. The Swiss brand addressed this issue with a whole new linear switch. The G513 is basically an upgraded version of the Logitech G413, a crowd favorite for several years now. The makeover delivers a more streamlined, fully-featured keyboard. The G513 is practically resistant to fingerprints. Also, its frame is more compact and sleek, thanks to its brush metal finish. A wireless gaming mouse is not a shocker anymore. But, a wireless gaming keyboard is. The Corsair K63 Wireless is an RGB keyboard that delivers the full spectrum of the color wheel. Corsair meticulously transferred all the goodness of the wired version of the K63 into wireless hardware. Apart from the tight Cherry MX Red switches, the K63 wireless also includes hassle-free media controls for a more convenient gaming experience. Even if you’re attentive to your surroundings, accidents happen. And when you’re on your desk, it’s the keyboard that suffers most of the time. Clumsy or not, the Corsair K68 RGB is a great keyboard because it is water-resistant. You don’t have to worry about sudden soda shower during an intense game. It is a sturdy gaming necessity that is powered by a first-rate software. It might get a little tricky when you first customize the lights. But once you figure it out, everything will be easy. You don’t have to buy high-end products that cost an arm and a leg to get what you need. Case in point, the Cooler Master MasterSet MS120. For just about 70 bucks, you can have a set of a mouse and a keyboard. Admittedly, the mouse needs improvement, but the real star of the MS120 set is the RGB keyboard. It has switches that offer a variety of tactile feedback. It’s also relatively quiet. You won’t wake up anyone at night, even if you’re frantically playing a game and furiously typing away. We can all agree that Apple, one of the most innovative tech companies in the world, needs to up their game in terms of storage space. It sounds ridiculous that entry-level iPhones, up to this day, only have 16GB of storage. For sure, the company can make concessions to at least increase the space to 32GB without affecting its bottom line, right? We can also all agree that there are millions of people that still use an iPhone with only 16GB of storage. Retail shops that sell iPhone units can attest to this. If you’re one of those with a 16GB iPhone, don’t fret. You can still enjoy and even stretch your modest amount of storage space. You’ll only have to make some changes and be smart about it. 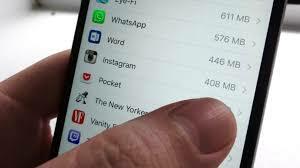 It’s vital you know which apps eat the most of your storage space, so you can make the right changes. The biggest space eaters are photos, videos, music, podcasts, and games. Obviously, you need to delete the unnecessary apps and media to give your phone some more room. To get an accurate view of your iPhone’s storage space, go to your “Manage Storage” tab. Photos and videos are the likely reasons your iPhone keeps reminding you that you’re almost out of storage. This is particularly true if you’ve been using the same phone for years. Instead of sacrificing newer photo shoots or the resolution of your images, have a regular ‘media transfer.’ You can do it via the cloud of your choice or a traditional transfer where you plug in your phone to your computer. Another option is to use free apps like Google Photos where you can auto-upload your media files. 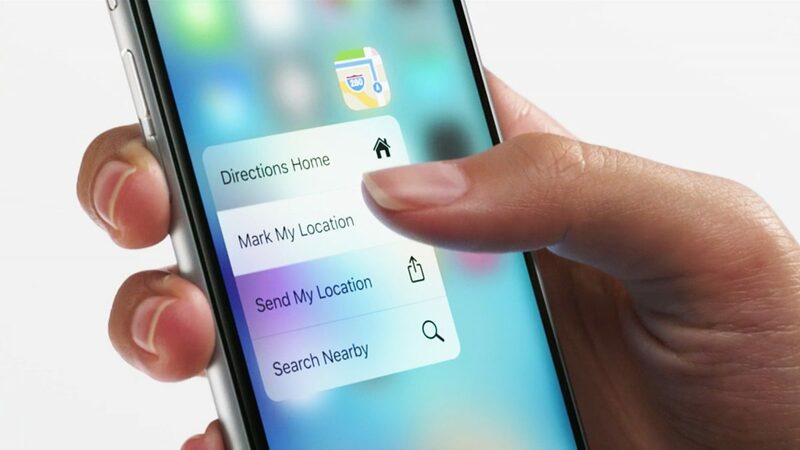 Once you’ve moved your photos and videos elsewhere, make sure to delete the local copies on your iPhone. Also, make sure to turn off your Photo Stream as it can organically store over 1000 images. It’s important that you only install the apps that you truly need and the ones that you repeatedly use. For instance, you don’t have to install the Wikipedia app. If you need to access Wikipedia, use the web. Same goes with a dictionary app or a news site app that you don’t regularly read. If you can easily get the answer to your question through an online search, then use the web. You don’t have to install the app dedicated to it, especially if you’re only going to use once or twice. If there’s a playlist that you can’t live without (aka when the Wi-Fi is down), then go ahead and put it on your iPhone. Otherwise, use streaming services like Spotify. Apple Music has a paid service that lets you upload all the tracks that you want online and stream them on your desktop or phone. Once you’ve managed your online music library, you can remove the local files on your iPhone to clear more space. Just don’t forget to uncheck the sync tick box for your iTunes. It may come as a surprise to many, but there are different kinds of keyboards. This is particularly true with gaming laptops. And many gamers prefer mechanical over standard membrane keyboards. A mechanical keyboard has an actual switch under each key. Literally, every physical switch triggers a tactile feel and response time. As such, the switches of a mechanical keyboard can support as much as 50 million keystrokes. Membrane keyboards can only do about 5 to 10 million keystrokes. If you’re on the lookout for the best mechanical keyboards available, here are the top three that markets that sell laptop units highly recommend. Most gamers prefer the Langtu X1000 for two reasons: it’s a decent mechanical keyboard and it’s reasonably priced. Langtu keyboards are specifically made for gaming and the X1000 has several special features that set it apart from other gaming keyboards. For one, it has a gaming level circuitry that consists of 104 keys, roughly a fourth of those are specific for anti-ghosting. The X1000 provides a higher range of flexibility. Also, the keys are specifically made to minimize hand fatigue. The keycaps of the X1000 are fully removable too, which means effortless maintenance. Because they are easy to remove, cleaning or replacing them is also a breeze. For more gaming convenience, the keyboard also has a plethora of FN shortcuts. You can easily access a range of items without leaving an existing game. The Langtu X1000 also comes with a one-year warranty. When it comes to durability, the Redragon K552 leads the pack of mechanical and RGB keyboards. Not only is the K552 sturdy, but it’s also splash-proof. This is THE keyboard for clumsy users. More than its durability, this particular Redragon model consists of 87 non-conflict keys plus 12 multimedia caps. The K552 caps also have an adjustable red backlight. You can easily modify the board’s brightness and breathing effect to your preference. The lights can be completely turned off as well if want to be inconspicuous. Much like with other Redragon products, the K552 is cost-effective. For just over 30 bucks, you can own a top-quality keyboard that can boost your gaming performance. JAR-OWL is well-reputed for delivering high-quality gaming paraphernalia. 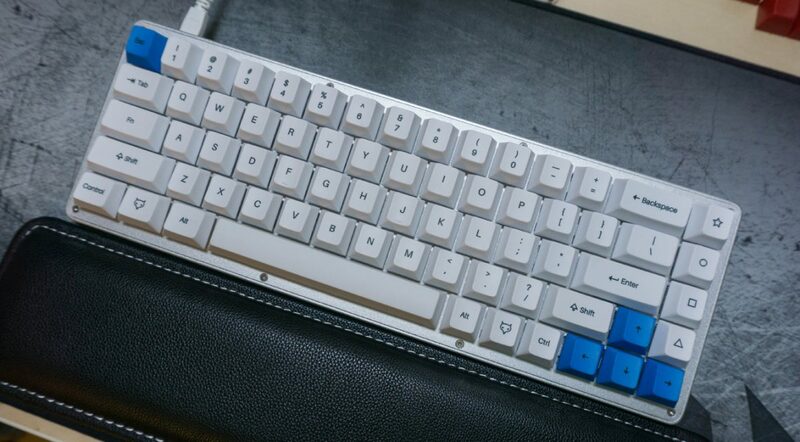 The J2 is one of the brand’s most in-demand mechanical keyboards, and for good reasons. The JAW-OWL J2 features an eye-catching gold design with 104 distinct keycaps. Nineteen of these caps are non-conflict keys to help you set up the board the way you want it to be. The J2 keys are also known for their sturdiness. Each key can hold up against 60 million keystrokes. The entire keyboard is backlit. Its backlight brightness can illuminate a room during the night. The J2 also comes with a dust cover to keep dirt from getting into the keys. The box also contains a wearable TPF rubber pad to ensure that the keyboard doesn’t slip to prevent desk scratches. Overall, the J2 is another decent mechanical keyboard. Its price varies depending on the vendor, but it is generally under $50. The Amazon Kindle is arguably the best eBook reader. Arguably is the operative word because Kindle is tightly linked to Amazon’s ecosystem. If you have the Kindle Fire, you won’t have a problem uploading and reading non-Amazon books on your reader. But if you have the other models—the Kindle, the Paperwhite, or the Voyage—it will take considerable effort to read content that doesn’t directly come from Amazon. Pick the model of your Kindle from the choices. Input the email address you plan to send your eBooks from. And you’re done. 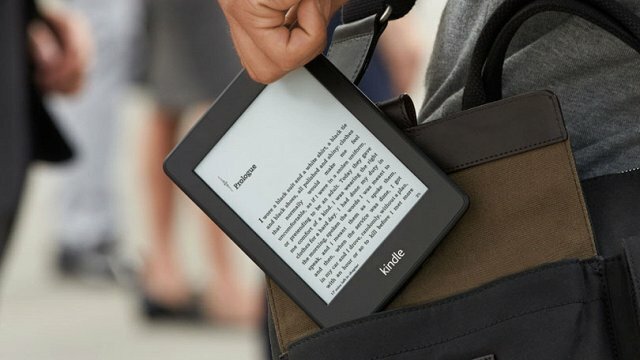 Just remember that your Kindle needs to be connected to a Wi-Fi or a 3G network before you can email your eBooks. If you want to manually transfer your non-Amazon eBooks into your Kindle device, you can do so via a USB cable. Connect your USB into your computer. Sideload the books you want to transfer from your computer to your USB. Transfer the content of the USB to your Kindle. This is the best way to transfer your non-Amazon books to your Kindle device if you don’t have Wi-Fi access or 3G Network. It’s an old-fashioned way to carry out the task, but an effective one. Some eBook sites that offer free content can directly transfer the downloaded books into your Kindle. Most of the time, it follows the email procedure. If you’re using an eBook site to send books to your device, make sure that the content is virus-free. Perhaps the most popular and most used third-party eBook software is Calibre. Markets that sell tablet units often recommend Calibre as well. It’s primarily a management app for your books. Its two main features are the Calibre library and the Calibre conversion. With Calibre, you can easily convert your eBooks to other formats. To send your non-Amazon books via Calibre, all you need to do is to set up an account. From there, you can directly send the eBooks to your Kindle. Using the Calibre plugin, you can also quickly get rid of the DRM from EPUB eBooks for easy conversion. Kindle devices support several formats besides the standard Kindle formats. These include PDF, TXT, MOBI, and PRC. Apart from Calibre, Amazon likewise provides a free conversion service to convert non-Kindle files like HTML, DOC, and DOCX into Kindle formats. Apple Airpods Review: Are They Really Worth It? The Apple AirPods have paved the way for the best wireless earbuds experience. Since its launch in 2016, fans have clamored to get their own pair from online and store retailers that sell cell-phones.And while many naysayers criticize the brand for exorbitant prices, Apple AirPods have undoubtedly changed the way earphones are built. Seamless design is what Apple is known for, and combining with superb sound quality, it makes sense that even after two years since its launch, the AirPods are still considered the most highly innovative and must-have earbuds. So, are they worth the hype? Let’s look closer at what AirPods have to offer you. Let’s start with the sound quality. Apple AirPods chose to take a one-size-fits-all housing, which means the device size won’t be a hundred percent fit to your ears. That means that outside noises are still able to seep in while you’re using your AirPods. Aside from that, people near you will likely hear your music. You may want to think twice about blasting those tunes off when you’re on the subway. But all is forgiven with the sound quality. These pricey earphones do sound pretty great! The sound has robust body and energy to it, and you can revel yourself in the sound whether you feel like relaxing on ambient tunes or pumping it up with glam rock. There’s also a good proportion of layering in the soundstage, where each instrument has ample space without everything sounding too crowded. Indeed, while there are other wired earphones that offer better sound quality, the AirPods provide the convenience of being wireless and guaranteed excellent listening experience. Aside from being unable to isolate external sounds, other compromises include the limited four-hour battery life from a single charge. I personally find it a hassle to charge the AirPods constantly for daily listening. While it mirrors the look of the traditional Apple EarPods, the main difference lies in the arm. The AirPods have thicker arms than the EarPods. If you are a fan of the signature Apple design, you’re probably pleased with the overall design of this set. But it’s also worth noting that sticking with this classic EarPod style meant that the AirPods won’t be open to modern materials, such as silicon eartips that firmly lock the earphones in your ears in place. In terms of connectivity, the AirPods are quite convenient compared to most earphones out there. Simply open the AirPods’ case next to your phone and select the option on your screen to pair the devices. Once paired, these buds will automatically pair whenever you place them in your ears and disconnect when taken out. For Android users, you would have to connect via Bluetooth first then enjoy the same automatic pairing afterwards. As with most Apple products, the AirPods command a hefty price. At USD159 in Apple and even pricier USD249 in Amazon, it’s certainly more expensive than most users are willing to spend on earphones. But for purists, the wireless charging, seamless connection, and awesome sound experience warrants the cost of the AirPods. 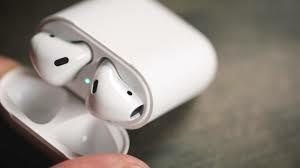 Author Claudia M.Posted on February 1, 2019 February 1, 2019 Categories Product ReviewsLeave a comment on Apple Airpods Review: Are They Really Worth It?